Koch Hazard Architects pioneerd sustainable design in the state of South Dakota. This is LEED. Better buildings for our legacy. 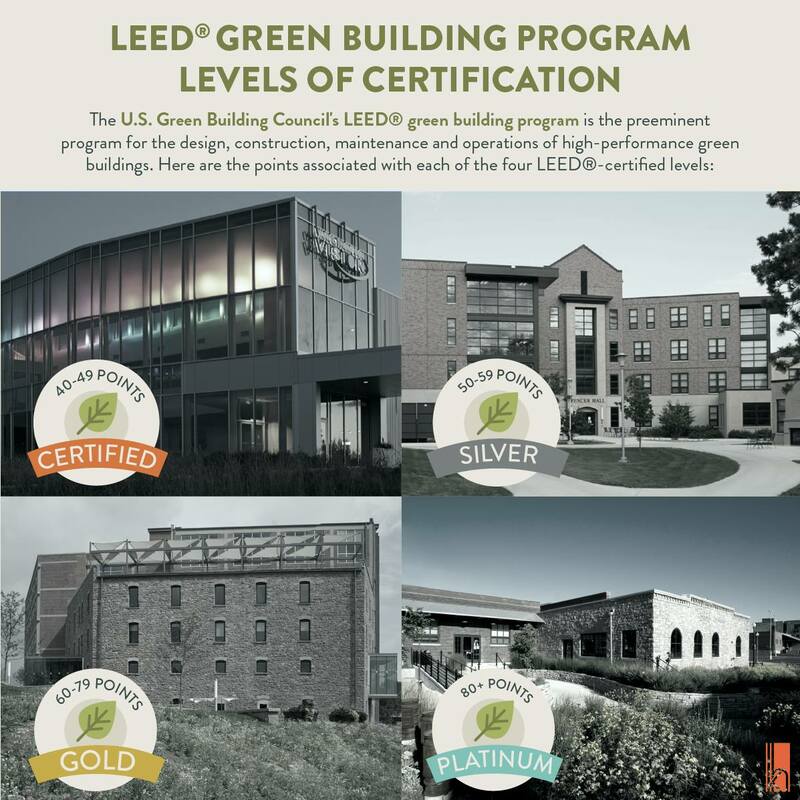 Koch Hazard Architects designed South Dakota’s first LEED Gold building, LEED Platinum building and first LEED Platinum new building. Currently, KHA has two LEED projects in progress and two on hold.